When it comes to high-end home decor, most of us don’t think of Walmart. Sure, the retail chain has a ton of lighting, furniture and storage-related options, but they really aren’t known for their “trendy” items — or, they weren’t until today. 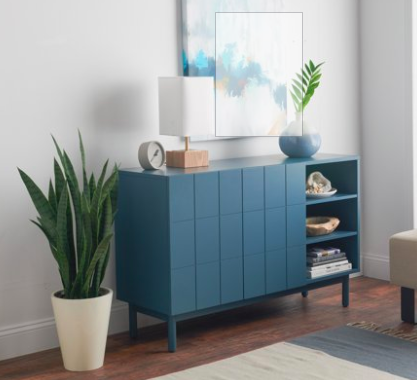 Walmart just released a new home decor line called MoDRN, and it is super-stylish and sleek. From playful art deco designs to polished pieces crafted with fine wirework and camel leather, there is something for everyone. Check out a few of our favorite pieces. With hardware-free doors and a geometric grid, this cabinet is chic and classy. 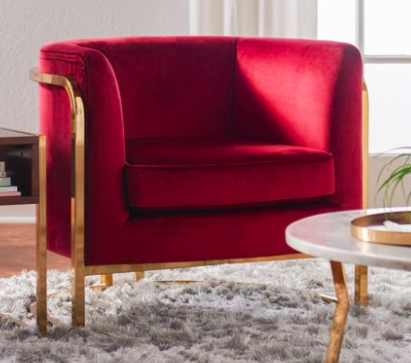 Inspired by the barrel chairs of the ’60s and ’70s, this modern piece — with brass finishes and luxe upholstery — is understated elegance. 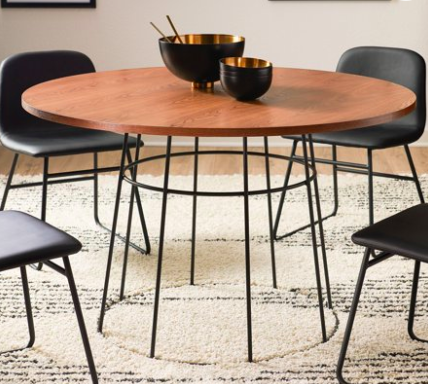 Steel tubes and a round wooden top make this dining room table perfect for loft living or anyone who appreciates industrial style. Looking to add a pop of color to your room? 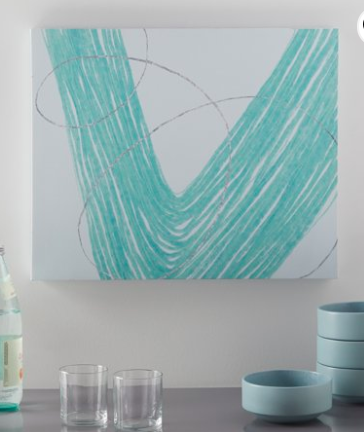 With a green palette and flowing brushstroke, this painting is sure to be a soothing addition. 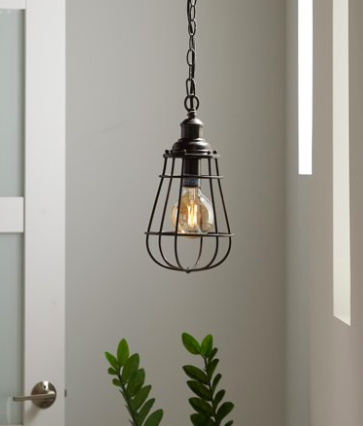 Reminiscent of factory or warehouse lighting, this bold, edgy piece will illuminate any room. 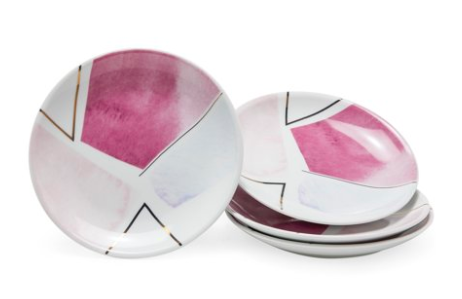 With bright colors and a bold, geometric design, these plates are both fun and flashy. Real conversation starters! 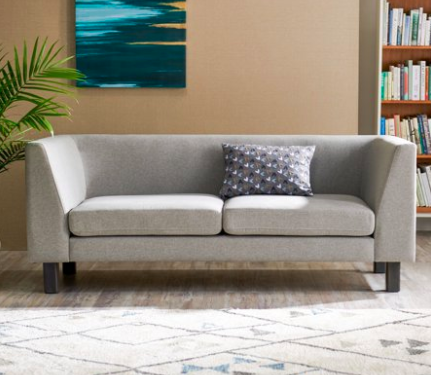 This sofa, comprised of clean lines and covered in a neutral tone, is contemporary and minimalistic. And bonus: Its smaller footprint enables it to fit in tight spaces.